good point. good chance two or three will make their debuts next week. Start digging for those pics now. Navarro had pretty good spring numbers last year also, at least in terms of BA. Better this year, but probably meaningless. I checked last year's spring stats recently. The following players has the best pitching numbers: Seo, Fossum, Camp, Jackson and Howell. 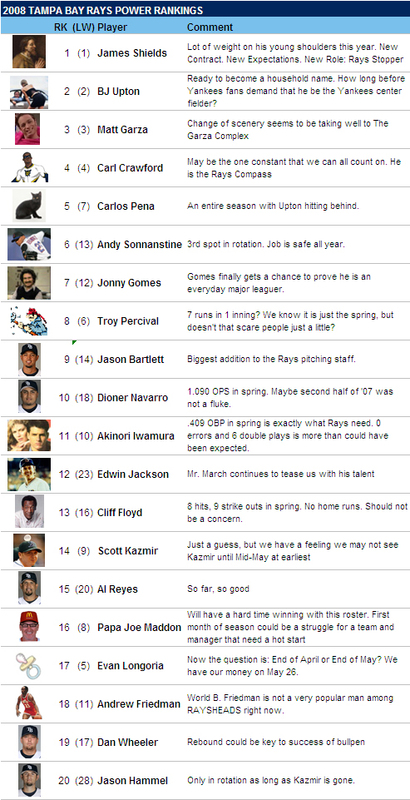 The following had mediocre to poor spring stats: Upton, Pena, Iwamura and Harris. 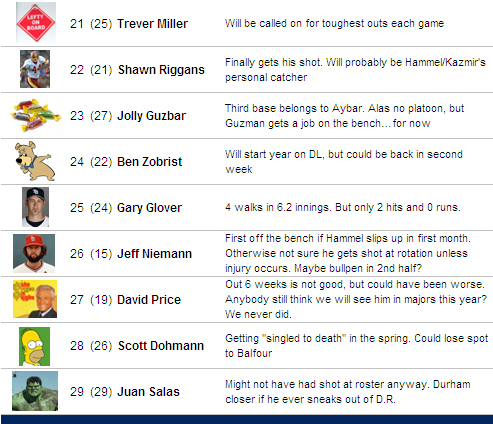 On the other hand, both Zobrist and Velandia had excellent spring stats.